I create expressive stone sculpture and lettering works which have developed from my fascination for detail, pattern and design. After graduating from Goldsmiths College London, I pursued a creative career with some of the UKs largest textile businesses. A longstanding passion for geology led me to stone carving, learning to carve stone was the natural link between my love of art and geology. 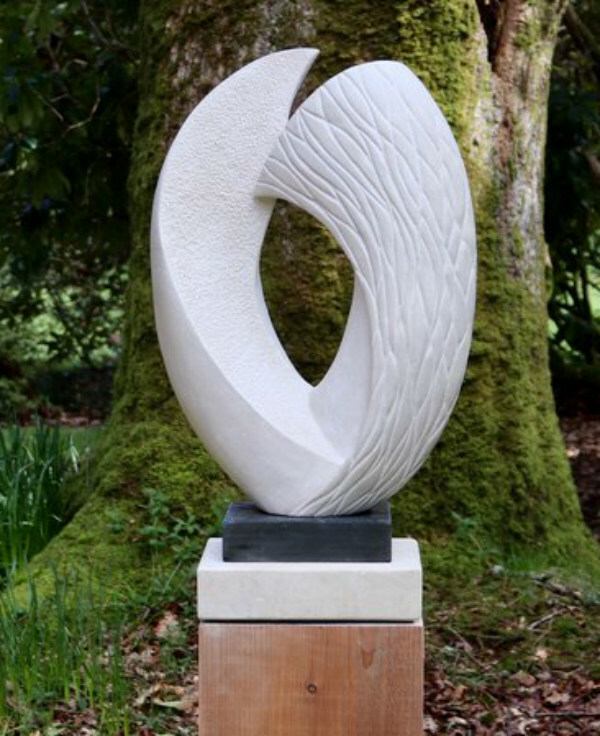 I now work from my studio looking out towards Dartmoor, the landscape never fails to inspire, here I create my contemporary garden sculpture and lettering projects as well as working on public and private commissions. Inspiration comes from natural form and landscape.